Gun stores across Maine are reporting a spike in sales, ahead of a change in the state concealed carry law this October. "It's all because of the new law," said John Reid, owner of JT Reid's in Auburn. "More people will be carrying." This fall, gun owners in Maine will no longer be required to obtain a permit to carry a concealed weapon. They may still apply for one, but it is no longer required. The safety course that had previously been required will also be optional. Reid said gun sales are up at least 50 percent this summer compared to last summer. He said customers are also purchasing holsters, and inquiring about the changes to the law. State Senator Eric Brakey (R) - Auburn sponsored the legislation. He said the increase in gun sales was not necessarily an intentional effect, but said it is a good thing. "I think we're going to see positive outcomes," said Brakey. He pointed to Vermont, where there has never been a permit to carry a concealed weapon. "The results in other states has been overwhelmingly positive," he said. 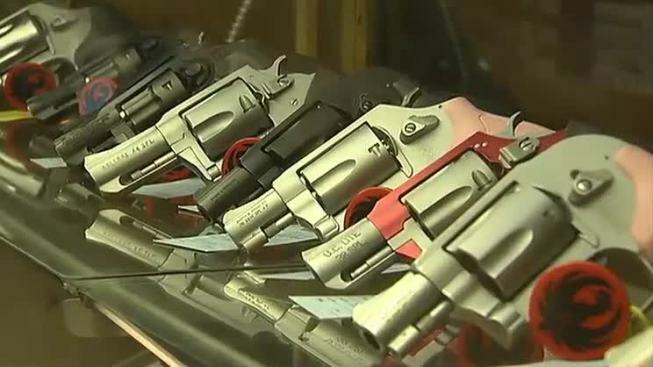 Opinions on the new law and the spike in gun sales are mixed among law enforcement. Some had testified in support of the bill, but the Maine Chiefs of Police Association opposed it. "The fear that we have is once this law goes into effect, you're going to have folks carrying that have had no training whatsoever," said Deputy Chief Jason Moen of the Auburn Police Department. His department is planning to distribute pamphlets that explain the new law, and what limitations gun owners will still have. For example, said Moen, people carrying a concealed weapon must still tell a police officer. He is also encouraging gun owners to educate themselves about self-defense laws, and know that there is no "Stand Your Ground" law in Maine. At shooting range and retail store Top Gun of Maine, owner Joe Cimino said he was initially unsure about the concealed weapon permit changes. He thinks it can be a good thing -- as long as gun owners continue to take safety courses and understand the law. "I think this is going to be a boom for us," said Cimino.